A lot of developers follow a certain paradigm when it comes to making their casual games, and that’s strange adjective ending in “y” plus noun/main focus of the game. 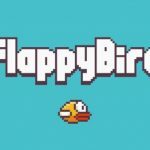 That probably started with Dong Nguyen’s Flappy Bird, and while other titles that follow this paradigm have different concepts, you know what we’re talking about – Crossy Road, Smashy Road, Wrecky Ball, and now Spinny Circle, an iOS and Android super-casual game from Josiah Jenkins. 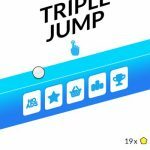 While definitely not as prolific as Ketchapp, it does appear that Jenkins has a few other casual titles under his belt, and this one, as he says, now has two modes, including the “super-fun matching game” Impossible Bounce. 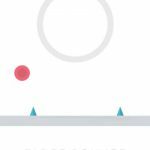 All you have to do in this game is to tap to move the polygon around to the correct color before the ball lands. That sounds easy, but you’ll eventually find out that this can be a chore at times. So read on if you want some Spinny Circle cheats, tips and tricks for both game modes. The primary mode moves the seven-sided polygon in just a single direction, while the second mode allows you to rotate the polygon in two directions. Rotating the polygon is easy – simply tap left to move it left, and tap right to move it right. Nothing to it, but if you’re just starting out, it’s good to know that there’s no fancy stuff involved in the main mechanic. Based on feedback from gamers, the primary mode, where you rotate the shape in one direction, is more difficult, and it wouldn’t be uncommon for you to score in the single digits. If this mode is too hard for you, try the two-direction mode for practice. Speed is still of the essence, but at least you won’t have to tap so many times so you can achieve your goal of moving the platform under the ball and matching colors. As we can’t stress enough that speed is extremely important in this game, you might want to use left and right fingers to tap on your device’s screen. Spinny Circle isn’t able to read taps if you’re overly fast, so you’ll need to be a bit reasonable when tapping. When we say speed, we’re talking about thinking fast more so than tapping fast. Why shouldn’t you chase those scores? Because you can’t. 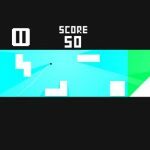 These are hacked scores that are very unrealistic and impossible for any human player to reach. You want to scroll down instead and look for some really high scores that are more plausible than the ones in the first page or two. Ordinarily, you should be able to click on the Watch Ad button to get some freebies, but right now it’s not yet available for use. This could be a sign that Jenkins may be adding a currency system or probably some items to unlock with that currency – could this be a new shape for the ball or a new polygon? He’s not saying, but the presence of a Watch Ad button does tease those possibilities.